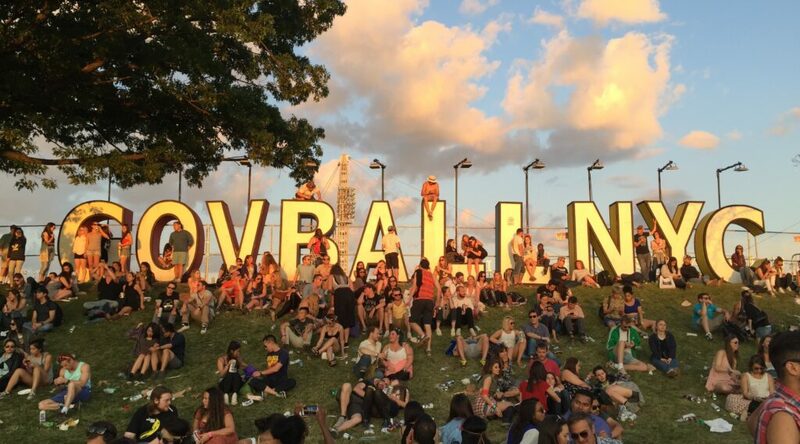 Capalino+Company has been working with Governors Ball to kick off its fifth annual concert taking place at New York City’s Randall’s Island this weekend June 5-7 . Randall’s Island, NY– The Governors Ball Music Festival is set to kick off its fifth annual concert on New York City’s Randall’s Island this weekend. The three-day event will feature 66 musical acts and more than 50 food, art, and cultural offerings. Last year the event generated over $38 million in economic activity for New York City and East Harlem. This year Governors Ball has expanded a full range of community partnerships and philanthropic local investments that have helped make it New York’s premier homegrown music event. Naming the New York Police and Fire Widows’ and Children’s Benefit Fund the official charity partner of Governors Ball, with a portion of ticket sales benefiting its charitable organization, Answer the Call. Allowing concertgoers to earn free tickets to the festival in exchange for volunteering at food pantries in Upper Manhattan and the Bronx. This program resulted in more than 1,200 hours of community service in the months leading up to this festival. Sponsoring 10 local young people in the Mayor’s Fund to Advance New York City’s summer youth employment program. Hiring local residents to fill more than 120 custodial shifts, each paying a living wage. Offering a free booth to Union Settlement at the festival and providing free job-exposure field trips to local kids the week of the show. Designating East Harlem’s Hot Bread Kitchen the preferred bread vendor for all food vendors and for Governors Ball’s own catering. Providing a free booth for local East Harlem jewelry designer Nicole Romano. Including East Harlem eco-friendly food truck Neapolitan Express in the food offerings. Follow these links for information on the music, food, and transportation at Governors Ball. Founded by three New Yorkers and still New York City’s only homegrown music festival, Governors Ball is poised to celebrate its fifth year with the June 5-7 concert. In addition to this year’s effort to combat hunger and food instability, Governors Ball has also made significant investments in East Harlem businesses and job-placement services for local residents. Past Governors Ball community investments have included significant financial contributions to the New York Police and Fire Widows’ and Children’s Benefit Fund, and to the charitable Mayor’s Fund to Advance NYC in the wake of last year’s explosion in East Harlem. Governors Ball has also partnered with New York City social service organizations to raise awareness of their efforts to house, feed and clothe some of New York’s most vulnerable communities.